You may call printed manuals treekillers. I'll make a claim that printed manuals were, at a time, part of the game. For instance, this guy here. You know him, don't you? Let me draw him in greater detail. What, you don't think that's him? True, it isn't. 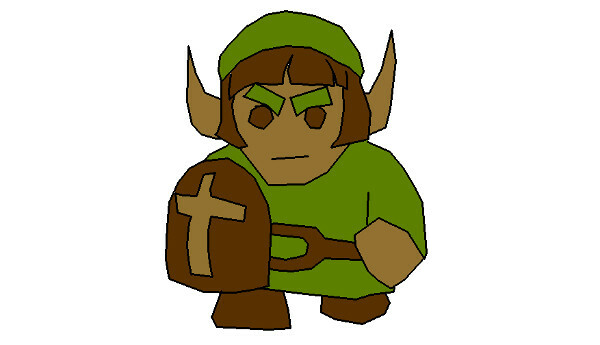 The game's manual had multiple images of him that the sprite attempted to represent. 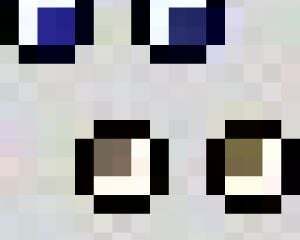 In a sense, the manual gave you the visuals to mentally place over the technologically limited game. If you don't believe me, well, you can find the manual yourself on Nintendo's own page for NES Classic Mini. Manuals were, in a sense, artbooks that came with the base game. Looking at Xenoblade Chronicles 2 (Monolith Soft/Nintendo, 2017), I'd really have liked to have a manual instead of the art book...although that is probably one of the few modern games where this is true. 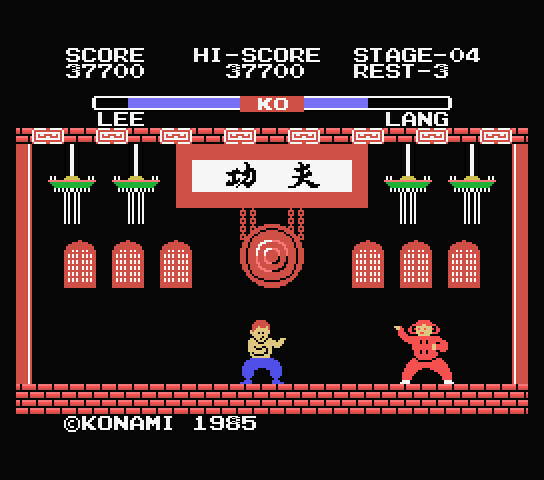 Here, for example, we have Lang in Yie Ar Kung-fu (Konami, 1985), a game I looked at a while back. And here's what she looks like in the manual. If it weren't for this image, I'd still think she was wearing an Asian conical hat instead of the circles being her hair. 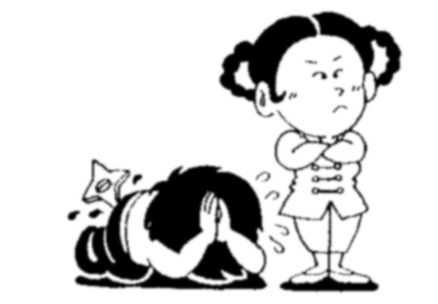 Lang in the manual of Yie Ar Kung-Fu on MSX (after I changed the blue tone to black). Frontier: Elite 2 (David Braben/GameTek/Konami, 1993) came with a nice thick book of stories from the frontier. Had I read it, the "flavour text" would've made the universe feel more alive than just by jumping into the game. I did read the pack-in "Gazetteer," though; that contained brief descriptions of a number of star systems such as Ross 154, the default starting location, and how the ice world Merlin in the system contains an ecosystem in the ocean underneath the ice, from the bioluminescent lichen to the Merlin Plesiosaur and how fishing is conducted there. What's shown of this in the game? If I remember correctly, just that fish(?) meat is cheap to buy on Ross 154. The astrobiologist who discovered the ecosystem was probably never mentioned in the game either. 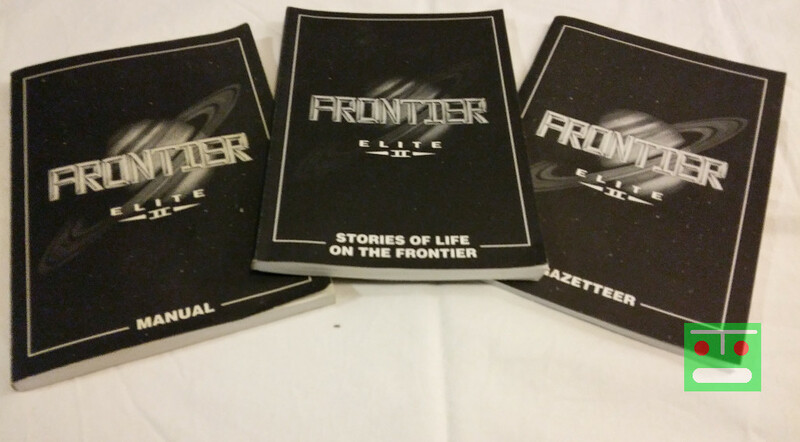 The big books that came with Frontier: Elite 2. Not shown: quick reference card, star map. 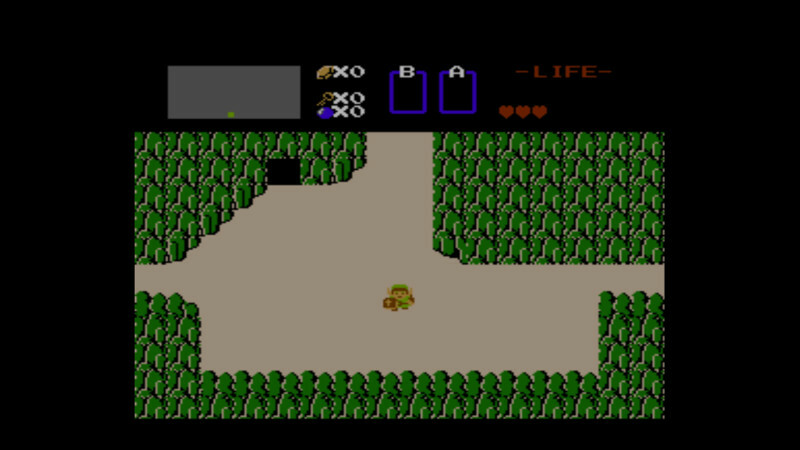 At one time, the manuals served as DRM; the games would ask a question of the manual, such as, "What is the 5th word on the 6th line of page 23?" The copy protection in Master of Orion (Simtex/Microprose, 1993) was identifying ships from multiple choices listed in the manual on several pages. Star Wars: X-Wing (LucasArts, 1993) had three-symbol codes for several planets in the Star Wars universe, one at the bottom of each page. (Or at least my "White Label" version did.) No, I don't miss that; I just think I'd be remiss at not mentioning the less enjoyable side of manuals. Today, manuals don't take enough digital space to warrant the expenses and extra work of printing and slipping them inside the game cases. If there even are any manuals, digital or otherwise. To be fair, the game cases nowadays don't always contain (full) games either, do they? Just download codes? It also helped that games weren't typically known for their elaborate stories. You'd browse through the story, maybe check the loading instructions, see how the game is controlled, and that's all you'd need for a shmup. With Laser Squad (Target Games/Blade Software, 1988), the manual contained weapon stats like action points spent, damage dealt, clip size, and so on. I doubt some of this information was even shown in the game at all. Printed manuals would also be outdated after most post-release patches. Say, again with Xenoblade Chronicles 2, the game has got the New Game+ as post-release content, which would've outdated the documentation. Of course, digital releases made physical manuals undesirable. Electronic manuals just aren't good: opening one as a PDF is a bother even if you had multiple displays, one for playing the game and one for reading the manual. Have manuals also become superfluous in a sense other than the game having tutorials that serve in manuals' replacements? The game controls have become homogenised, especially on consoles. When B in a game on Nintendo platform is confirm instead of cancel, you just know someone didn't give a toss. 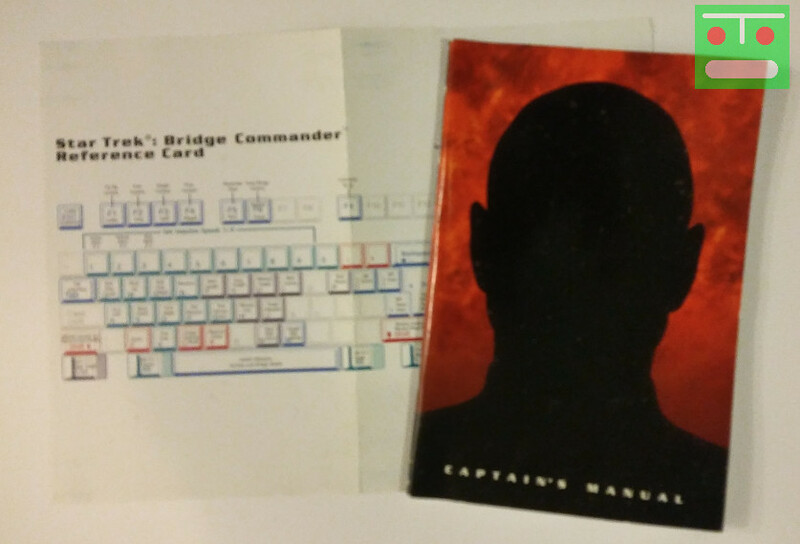 There's no reason to guess that the ship rolls with O and P.
As I look at the 90-page manual for Star Trek: Bridge Commander (Totally Games/Activision, 2002) and its keyboard cheat sheet, I wonder how well a game with this many buttons would map to a controller. That's six keys for cameras, six for changing yaw/pitch/roll, eight for firing weapons and targeting...and Alt+T for tractor beam + Alt-C for cloak. Of course, it's easy to argue that this is user-unfriendly. Not much more could fit inside the DVD case than these. And the CD. No wonder modern physical releases feel like cheap re-releases to me.